Showing 39 articles from April 25, 2018. CASTALIA -- Bringing better broadband service to rural Franklin County will require carrots and sticks. Admittedly, representatives from the State's Broadband Infrastructure Office, a state resource designed to expand the service, says we don't have enough of either. And, because of that, one White Level resident said, rural customers are being left behind while service providers are getting further ahead thanks to taxpayer money. LOUISBURG -- Flying remote control drones is no longer fun and games. 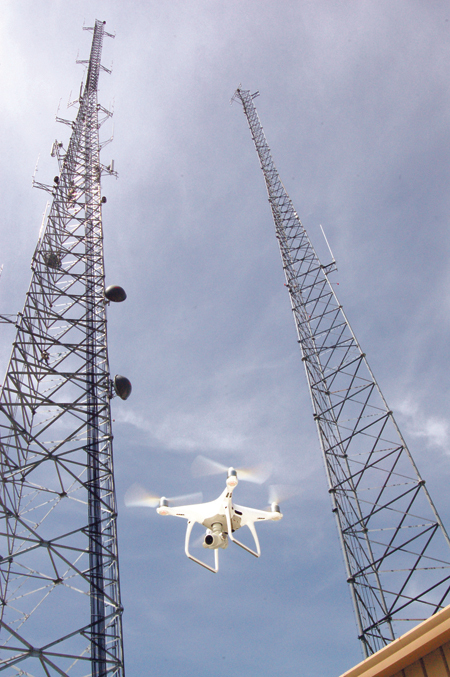 Since the fall, the Franklin County Sheriff's Office has deployed drone technology that they've been ready to use in search and rescue missions, police chases, fire incidents and any other call that would be aided by a bird's-eye view. 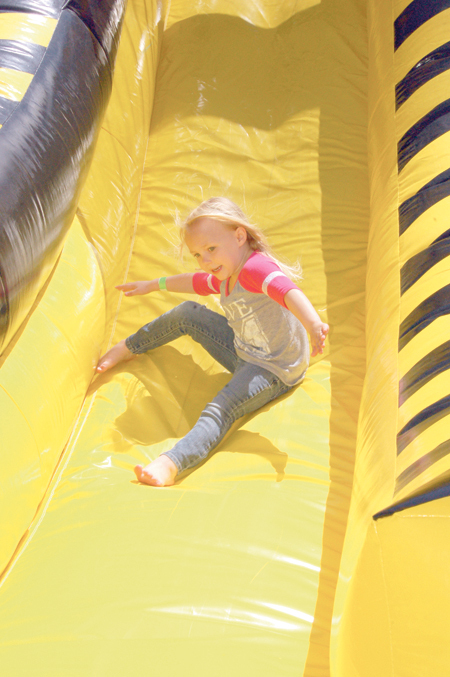 Emery Hollifield goes full steam ahead down a slide set up at last weekend's Bunn Fun Day. 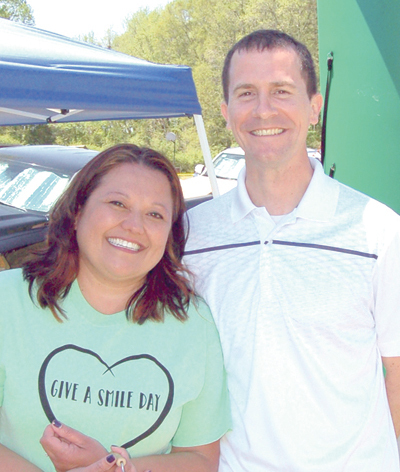 The annual event featured music, fun, food and games for children and adults. CASTALIA -- With the aid of the State Department of Commerce, a committee of residents presented a development plan they want to use to revitalize and promote northeastern Franklin County. Next month, members of the Northeast Franklin Revitalization Committee will be tasked with figuring out how they''ll implement the strategic plan to bring improved broadband service, agritourism, and more people and business opportunities to a long neglected part of the county. 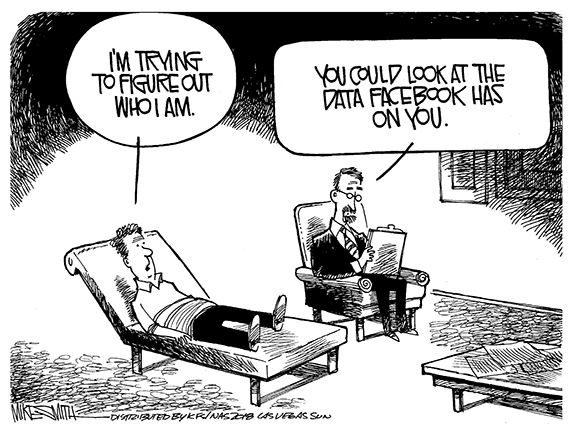 Editorial Cartoon: Who Am I? Are we sure about farmers' market study, concept? 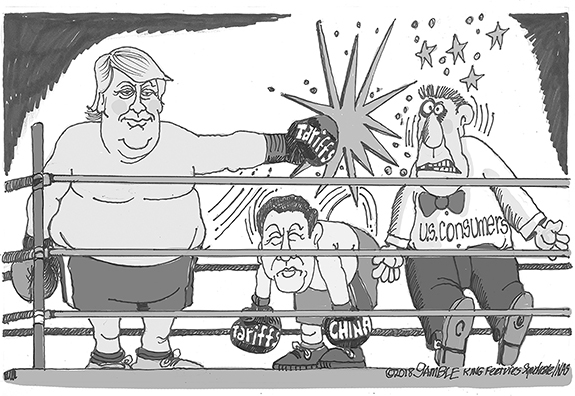 You've got to love the rule of unintended consequences! You know, when one action sparks an untended reaction, often in the opposite direction from what was intended. Exactly that happened last week in Louisburg -- so if you are looking for a textbook example of unintended consequences, look no further. When it came time to actually do something -- instead of just talking -- Franklin County officials last week missed a chance to play a role in fighting the opioid crisis that is plaguing this county, state and nation. Hopefully this will turn out to be an opportunity delayed, not missed, because the stakes are so high and so many lives are in danger. Today, Thursday, if the intense rain showers stay away, Franklinton and nearby residents will get a chance to party with a purpose. Going back to at least the fall of 2017, Franklinton has reinvigorated and rejuvenated its Community Watch Program. The group was started as a way to disseminate information that residents can use to stay safe, while also opening a line to police so they know what's going on in the community. 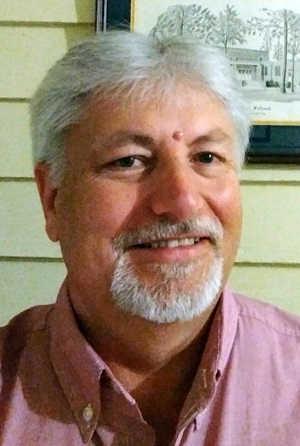 Dear editor: I am white and was born and raised in Franklin County and have lived here all of my 80 years, with the exception of the time I spent away attending various universities to earn my degrees and one year in Vietnam. I am a graduate of Louisburg College and graduated with honors. FRANKLINTON--James F. Perry, 78, died Tuesday, April 24, 2018. Funeral service will be held Saturday, April 28, at St. Paul Presbyterian Church in Louisburg at 11 a.m. Burial will follow at the Cemetery on the Hill. FRANKLINTON -- The kicking game and interior line play are two of the most important facets of football -- and Franklinton's Red Rams were set in both departments over the past few years. 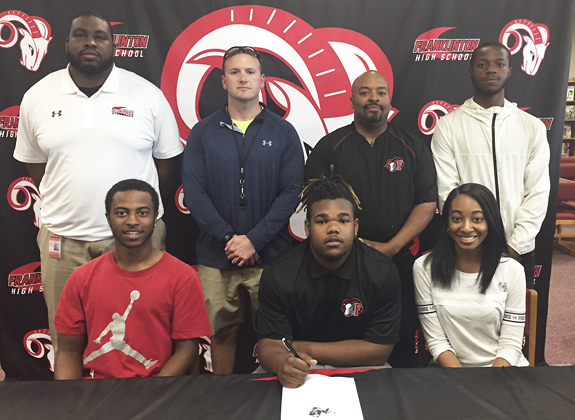 That's because FHS boasted a mainstay placekicker in Jordan Vitale and a dominant lineman in Jadakiss Gallatin -- and both of those standouts are getting the opportunity to compete on the collegiate level. 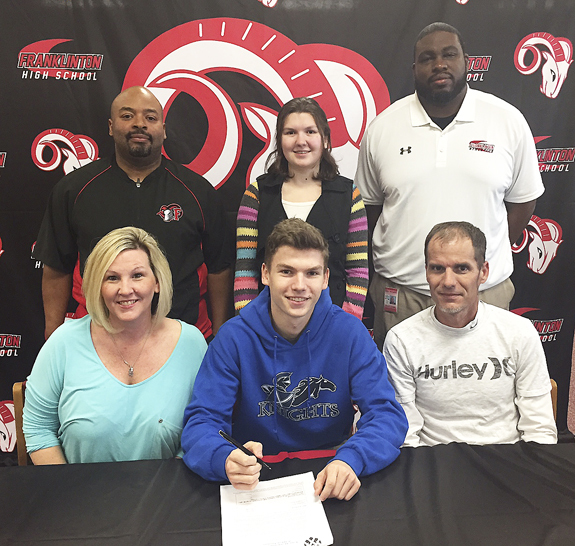 Franklinton High School placekicker Jordan Vitale (front, center) signs a letter-of-intent to continue his football career at St. Andrews University. Also pictured are (back, l to r) FHS coach JeVar Bransome, Taylor Vitale (sister) and FHS Athletic Director Donti Coats; (front, l to r) parents Michelle and David Vitale. ALEX ON TARGET FOR FHS. Franklinton High School's Alex Gilliam follows a drive during Monday afternoon's Big East Conference Golf Championships at Belmont Lake Golf Club in Rocky Mount. ROCKY MOUNT -- The Big East Conference might have bitten off more than it could chew when it scheduled the league's annual Golf Championships at the difficult Belmont Lake Golf Club just north of North Carolina Wesleyan College. Belmont Lake is a challenge at any time, and was made even tougher during Monday's 18-hole event when the wind picked up. STANHOPE -- Few people boast the knowledge and passion for wrestling that Phil Mueller has. 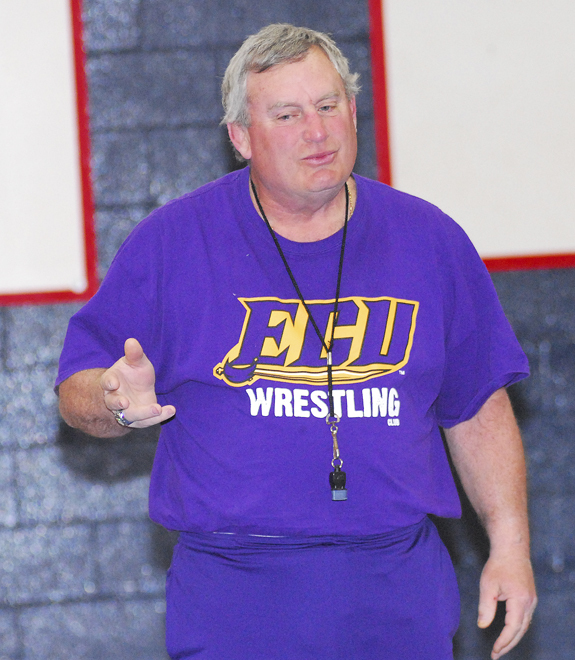 Mueller, a Louisburg resident and former mat coach at Louisburg High School, shared some of his intensity and expertise for the sport as part of a clinic last Saturday at the Southern Nash High School Gymnasium. 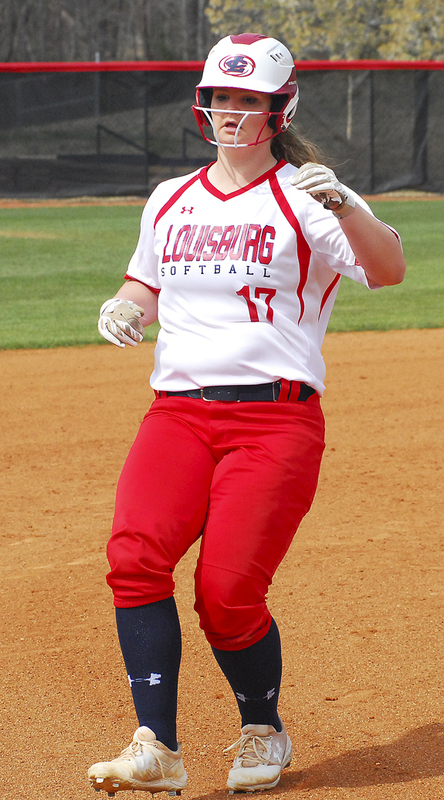 LOUISBURG -- Tourney time looms for the Louisburg College softball and baseball squads, beginning with this weekend's Region X Softball Tournament in Sumter, S.C. The Lady Hurricanes have won the tourney in two of the past three years and will be favored once again this time around as the No. 1 seed and regular season champion. 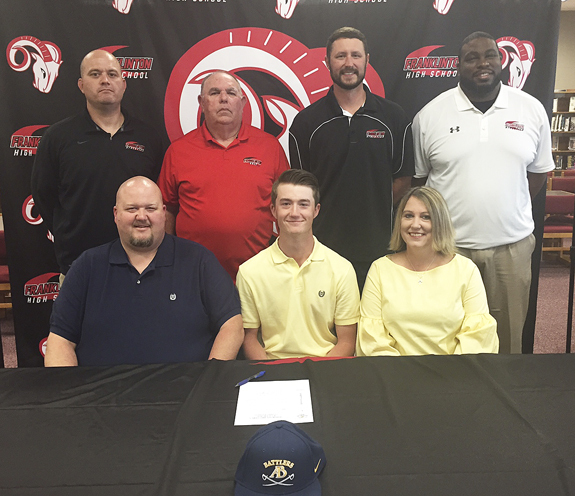 CREEDMOOR - There is now a tie for first place in the Northern Carolina Conference baseball standings -- thanks to South Granville High School senior mound ace Holden Laws. Laws pitched a complete-game shutout last Friday against, facing the minimum 21 batters in a seven-inning game, striking out nine, against no walks, allowing only two base runners on an infield hit and a bloop single, and not allowing a runner past first base. BUNN -- A football signed by former Bunn High School star Tarik Cohen will be given away as part of the Franklin County Relay For Life event this Friday. Cohen, now a standout running back for the Chicago Bears of the National Football League, personally autographed the ball in support of Relay For Life. ZEBULON -- The Carolina Mudcats rallied for a score-tying run in the seventh inning, but Astros third baseman Abraham Toro broke a 1-1 tie in the eighth with a two-run homer while leading visiting Buies Creek to a 3-1 victory over Carolina in the final of a four-game series on Sunday afternoon at Five County Stadium. Trey Supak started for the Mudcats (9-9) and pitched through the fifth with just one run allowed on five hits. 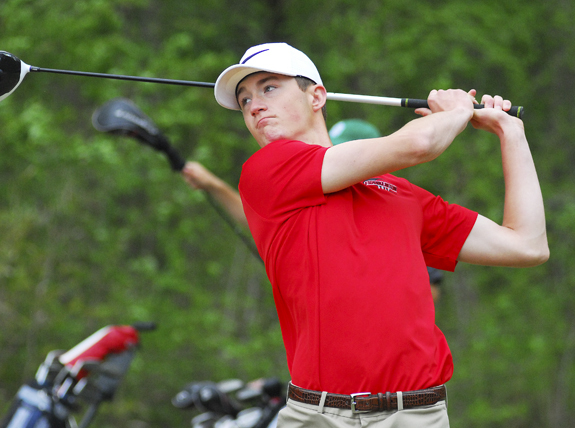 FRANKLINTON -- When Franklinton High School golf coach Dale Byrns analyzes Alex Gilliam's game, one word comes to mind. 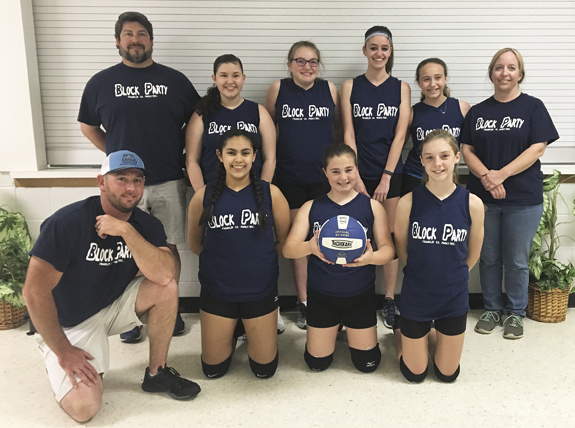 FRANKLIN COUNTY -- The Family Pharmacy of Louisburg Block Party took an interesting route toward the championship at the 2018 Franklin County Parks and Recreation Winter Volleyball Tournament. The Block Party entered the tournament with a 5-5 overall record that put the club as the No. 5 seed in the eight-team event. 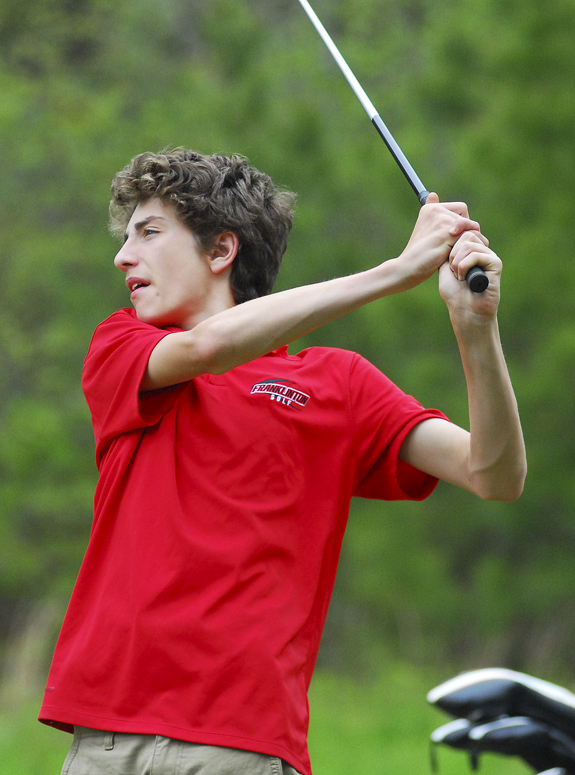 Franklinton High School's Colton Conner hits an approach shot toward the green during Monday's Big East Conference Golf Championships in Rocky Mount. Franz Schubert's song cycle, "Winterreise" or winter songs, will be presented at Cherry Hill plantation on Sunday, April 29 beginning at 3 p.m. Written for voice and piano, the work was first published in 1828 and is in the forefront of the song cycle genre. 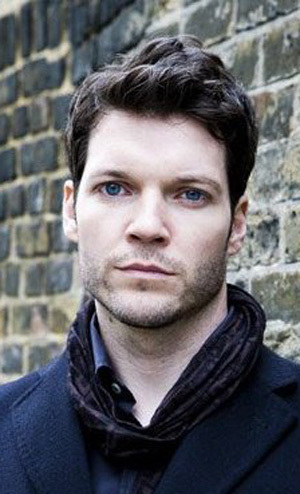 Baritone Marc Callahan and pianist Qiao Zheng Goh will perform. 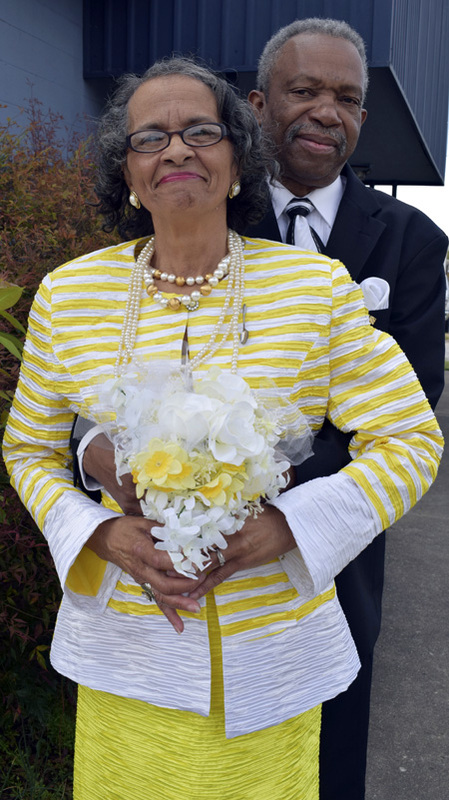 Gennie Brodie and Virginia Hedgepeth were married Thursday, April 19. They will make their home in Louisburg. 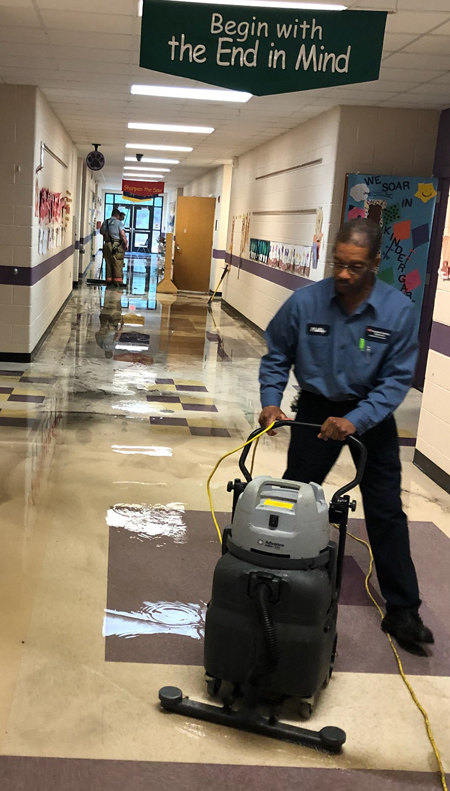 What started with a malfunctioning fan motor in a hallway at Long Mill Elementary School about 7:35 a.m. Wednesday ended with the students getting the day off -- and with school officials scrambling to clean up the mess made when water sprinklers were triggered by smoke from the malfunctioning fan. 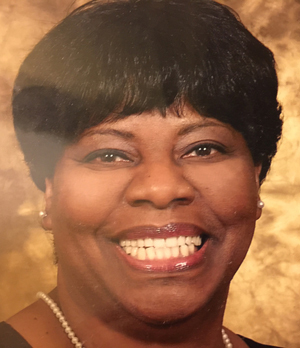 Principal Monica Headen closed the school and students were sent home, although some were returned to the school for safety until their parents could pick them up. RALEIGH -- A Louisburg man is slated to appear in court next month on charges that he killed a Franklinton man in an alcohol-fueled wreck. 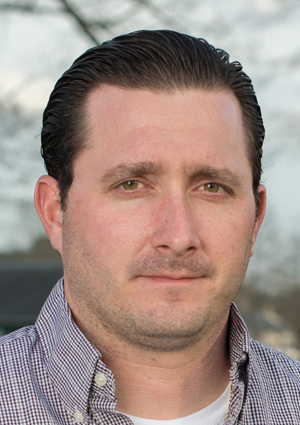 According to reports, Samuel James Beadle was driving a car the evening of April 22 on Wakefield Plantation Drive when he ran off the road in the single-vehicle wreck. FRANKLINTON -- Citizens' complaints prompted police to arrest two men on drug charges. Willie "Bear" Sneed, 59, of Franklinton, and Christopher Devon Davis, 46, of Durham, were both charged with trafficking opiates by possession and possession with intent to manufacture, sell and deliver a Schedule 2 substance. As voters cast their ballots in this spring's primary, whether taking advantage of early voting opportunities or waiting until election day on May 8, they will be making important decisions about who will serve on the Franklin County Board of Education. 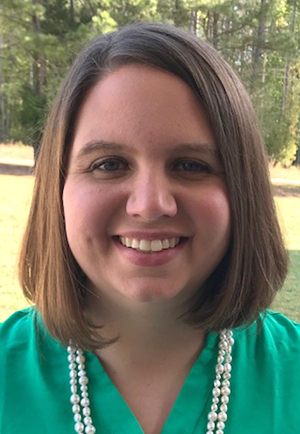 The school board seats are non-partisan which, in this case, means that the persons receiving the highest number of votes in the primary election will win seats on the board. Early voting began for the spring primary on April 19, giving Franklin County residents a chance to cast ballots that will determine who gets a seat on the Board of Education, while also deciding which candidates in races from Congress to the Board of County Commissioners will receive their party's nomination and get a chance to win a seat in the fall. 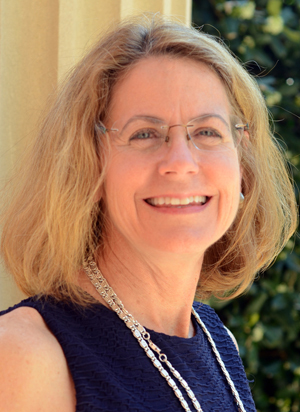 On this spring's ballot, party races are taking place for the U.S. House of Representatives District 2, the N.C. House of Representatives District 7 and the Franklin County Board of Commissioners District 3. 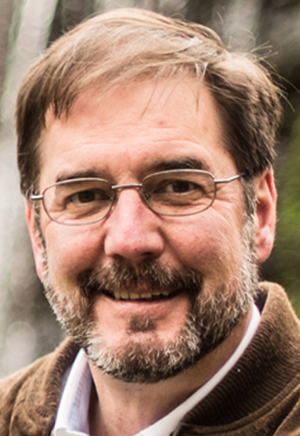 Incumbent School Board District 1 member Bernard Hall is the only school board member whose seat is available but not being challenged. FUN ALL AROUND. 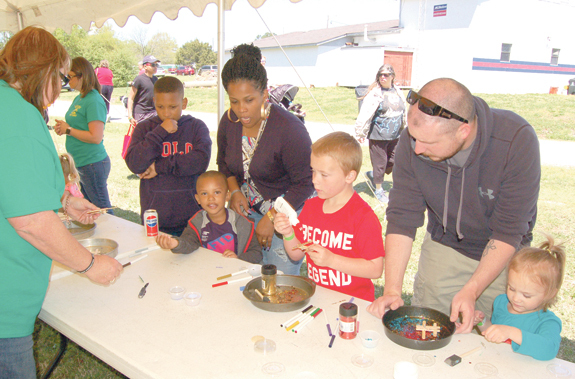 Above, from left, Ray, Rayshwan and Yolanda Crudup, along with Silas, Andrew and Logan Crumpler, take part in craft activities. LOUISBURG -- Two Franklinton residents are looking for allies to help revitalize downtown Franklinton. Earlier this month, Jacob Carpenter and Mark Lemmon made their pitch to Franklin County commissioners. A day later, they were in front of Franklinton commissioners.